He-Man’s greatest nemesis Skeletor has taken over Super7 San Diego and has converted it into his very own lair. What he plans to do with it, we are uncertain. Possibly use the space to plan out his evil doings for the week or perhaps release some amazing He-Man and Masters of the Universe SDCC Exclusives! It is no easy task to gain access to Skeletor’s Lair. 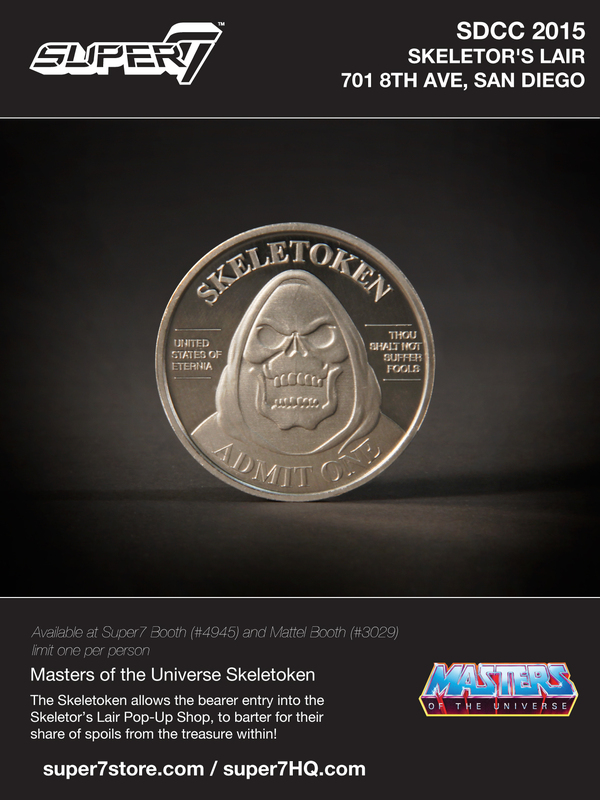 One must venture out to the Super7 Booth #4945 or the Mattel Booth #3029 to pick up a Skeletoken. You will then take this coin to 701 8th Avenue (Corner of 8th & G) and show it to us to gain entry into the Pop-Up Shop (you indeed get to keep it!). Stay tuned for more information on what will be available at Skeletor’s Lair.